An evening of spicy and punchy drams paired with Curious Kitchen’s menu. Mortlach was the first legal distillery in Dufftown, a burgh in Moray, Scotland. Known as the “Beast of Dufftown” for its bold flavours, the whisky was established in 1823 on the site of an illicit distillery. This Speyside single malt is the main component of Johnnie Walker Black Label blended whisky. The versatile single malt has now made its way to Malaysia with a fresh new logo and branding. 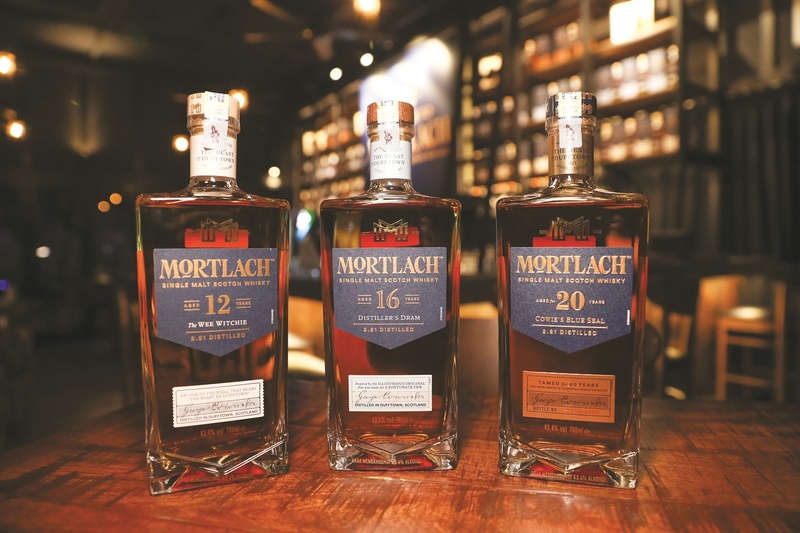 At Curious Kitchen in Tropicana Avenue, Petaling Jaya, we had the opportunity to sample Mortlach’s 12, 16 and 20-year-old single malts with a nose-to-tail meal that did not disappoint. Mingling by the bar, guests sampled canapés such as smoked duck with a jackfruit salsa and caprese skewers, but the true star was the live carving of a leg of jamón Ibérico. The salty slices of goodness paired well with the Mortlach whisky sour that was concocted with its Rare Old. I was content to sit with my plate of ham and sip my whisky, but we were quickly ushered into the dining area for a feast that claimed to make use of the entire hog. 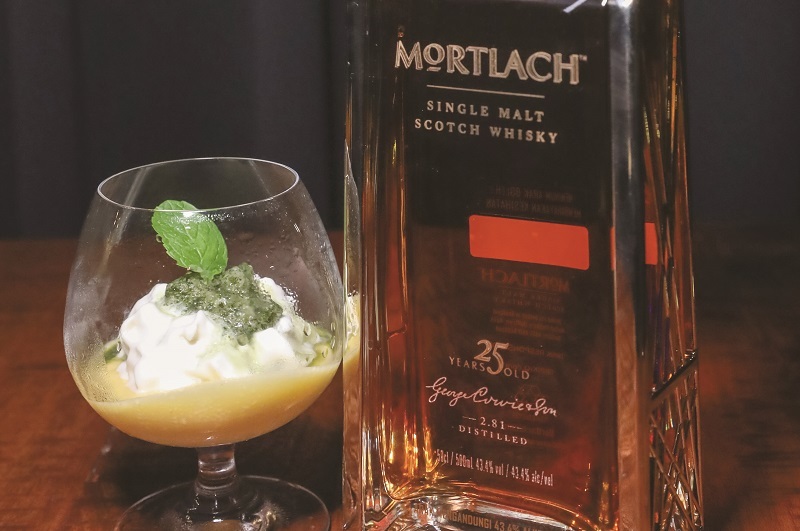 Mortlach guest ambassador Kabir Suharan walked us through the drams that we sampled alongside a menu prepared by Curious Kitchen head chef Rainer Michael Krieger. “Each bottle of Mortlach, regardless of its age, is able to ignite your senses into a world of discovery,” said Kabir. Forever the wild child that is determined to be different, Mortlach’s bold spirit is possible because of its unusual 2.81 distillation process, which was created by owner Alexander Cowie and the distillery’s architect, Charles J Doig, in 1897. The Ying (sic) and Yang soup starter was made with white pork bone, jamón bones, ginseng, winter melon, jujube, dong quai, solomon seal and Chinese yam. This flavourful broth took at least 48 hours to prepare and was served with a ramekin of John Walker & Sons XR 21 whisky poured in for an extra kick of richness. We enjoyed the soup with the Mortlach 12-year-old. Dubbed “The Wee Witchie”, this whisky is matured in ex-sherry and ex-bourbon casks. It has fruity and vibrant notes reminiscent of dark chocolate and cherries. 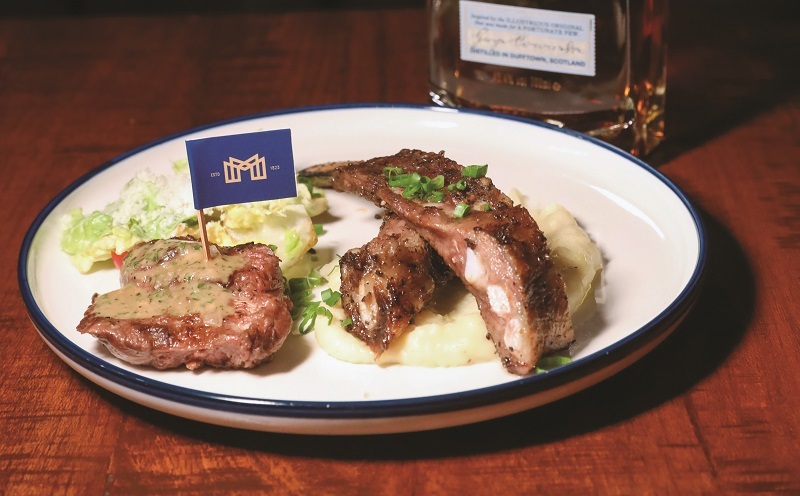 The main was what the chef claimed was the very best part of a pig — Iberico ribs and top loin that are roasted, grilled, smoked and served with a whisky sauce, truffled mash and Caesar salad. The richness of the melt-in-your-mouth meat went well with the whisky sauce and earthy mash. 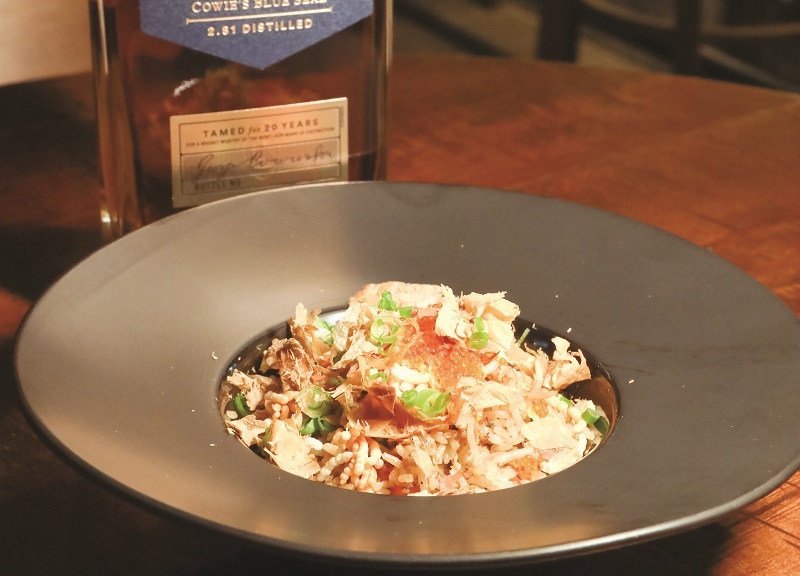 With this dish, we sampled the 16-year-old, or the Distiller’s Dram, which is matured in a 100% ex-sherry cask. This malt is quite different from Mortlach’s other whiskies and is intensely spicy, calling for a couple of drops of water to open it up. Its complex palate, robust body and lingering finish lend themselves well to meat dishes. The Iberico Chow Fan (fried rice) that followed was lush with a punch of porky flavour, but the Malaysian in me was craving a chilli padi kick. We were then served the 20-year-old, named Cowie’s Blue Seal. It was a delicate and rich malt of an old copper colour. This whisky is complex, savoury, with hints of citrus and cocoa nibs, and is easily my favourite. Cowie’s Blue Seal even has a spicy, gingerbread finish that emphasises its overall richness. Infused in our sweet finish was Mortlach’s 25-year-old whisky, a now discontinued bottle. Named Curious Passion, dessert was a passion fruit custard, coconut whipped cream infused with whisky and mint granita. It was a sweet and tangy cleanser that is impossible to have enough of. We ended our evening of robust flavours and spicy malts with a few more drams enjoyed with great company and the dulcet tones of the musicians. This article first appeared on Jan 14, 2019 in The Edge Malaysia.